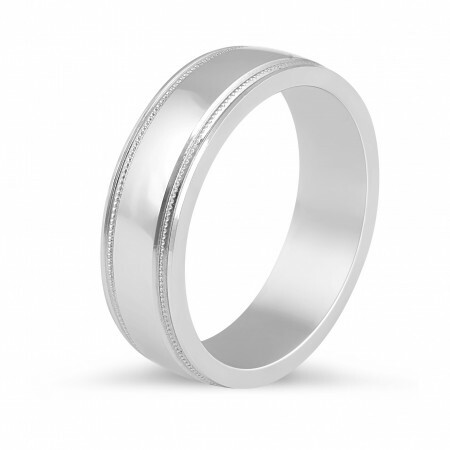 Modern polished wedding band with subtly rounded profile. Milgrain features running along the edges. 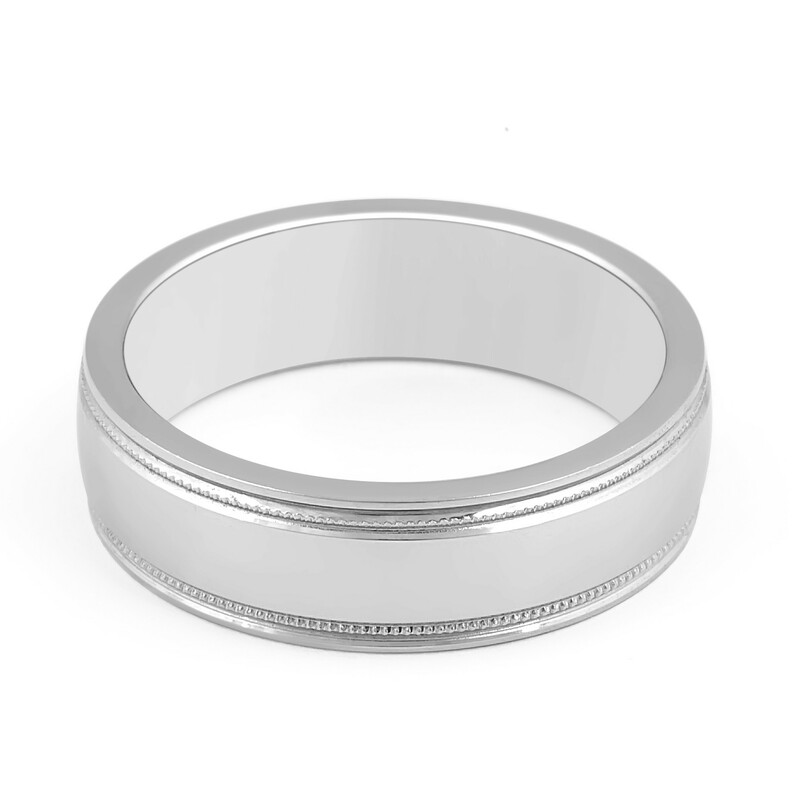 Modern polished wedding band with milgrain features along the edges in 6 MM. You're reviewing: Gents Wedding Band with milgrain features along the edges.